You don't have to be a QuickBooks expert, that's our job. 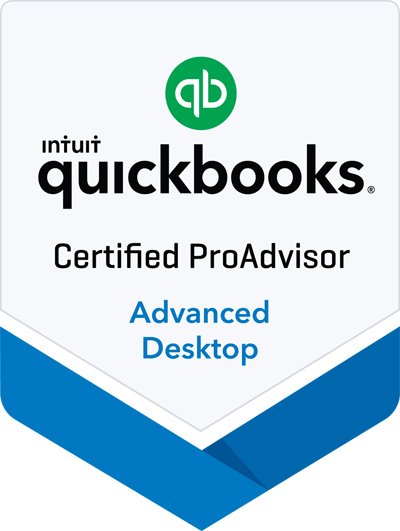 As an Advanced QuickBooks Solutions Provider we know the ins and outs of this powerful accounting tool and provide QuickBooks setup, training and support for our clients. It's no secret, we love QuickBooks! And we've made it our mission to know the ins and outs of this powerful accounting tool so you don't have to. Whether you're new to QuickBooks or a seasoned pro, our QuickBooks Services can help. QuickBooks accounting software comes in many variations. We will pinpoint exactly what you need to get started and partner with you as you grow. Incorrect installation and setup of your accounting software system can lead to unused functionality and incomplete information processing, not to mention frustration. We will get you up and running correctly saving you time and inconvenience. No business is exactly alike. We customize each client's QuickBooks to meet the needs and tasks unique to your operations. The information you want to get out of QuickBooks dictates how your information should be entered into QuickBooks. Don't chance making mistakes or missing out on powerful functionality that can result in bad decision making down the road. Let us train you to get the most out of your QuickBooks accounting solution. 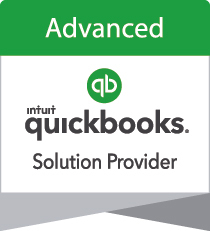 Have a specific QuickBooks question? We're here to give you answers. Using an accounting software that is cumbersome; difficult to correct entry errors? We can work with your staff to create a new QuickBooks data file; customize the processes in your new file, and train you and your staff in the use of QuickBooks. As your business grows, so grows your accounting data file. We can assist your conversion from QuickBooks Pro/Premier to the more powerful QuickBooks Enterprise Solutions (QBES). As time - and staff members - marches on, data files can be clogged up with old transactions never resolved, just sitting on the books. We can clean up that messy file. Our file review and clean up services will work with you to identify problem areas and correct your postings to ensure the accuracy of your accounting reports and running efficiency of your QuickBooks software. We can put you in the cloud! You can work from any location with a computer and internet access. Auto backups are another perk of joining the "cloud revolution!" Get more out of the accounting software you already use with available Intuit Add-Ons and other 3rd party integrations. We'll help you determine and implement the ones just right for you to get the job done.